From rapid change in order fulfillment strategies, to a growing reliance on data and the early adoption of innovations like AI and robotics, 2017 marked a turning point for retail warehouse management. The Snapfulfil team has compiled a list of some of the top trends that will continue to shape warehouse management in the year ahead. E-commerce giants like Amazon have re-imagined the online shopping experience with free and fast shipping options that appeal to the on-demand consumer, upping the ante for other retailers. Now, to keep up with competitors and consumer expectations, retailers are looking for ways to accelerate delivery times while keeping costs low. For example, according to PWC’s 2017 Holiday Outlook, more retailers are converting old manufacturing facilities and abandoned shopping malls in heavily populated areas into distribution centers to fulfill same-day delivery demands. This will continue to progress as same-day delivery becomes the new normal for online shoppers. Wondering whether your fulfillment and distribution processes are as efficient as possible? Take a look at our blog post on measuring performance for more insight. As with fast and free shipping, consumer thirst for convenience is behind the growth of subscription commerce (subcom). Views of subcom websites have increased from 722,000 in 2013 to 21 million in 2016. Furthermore, reports indicate more than 2,000 U.S. subscription box services were operating last year. While this new e-commerce model has risen in popularity, it’s important for retailers to fully understand the unique challenges it presents for order fulfillment and distribution before implementing a subscription offering of their own. See our tips for mastering subcom. Robotics dominated warehousing news in 2017, with some pundits asking whether automated processes would put workers out of a job. The conversation will forge on in 2018. Research firm Tractica found the market for warehouse robots will skyrocket from $1.9 billion in 2016 to $22.4 billion in 2021. It’s a perfect supply chain storm: greater competition and labor shortages have pushed warehouses toward a heavier reliance on technology. As more retailers tighten their belts, the warehouse will be expected to demonstrate how much impact its processes have on the bottom line. 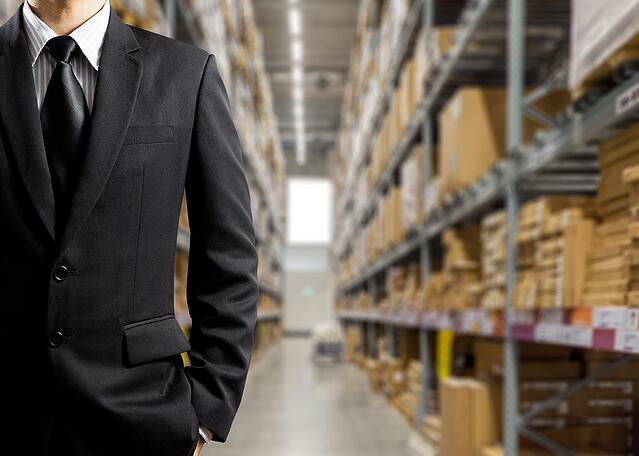 Warehouse managers have access to vast troves of data; in 2018, they’ll need to learn how to interpret it and make decisions based on the analytics. Our team put together some tips and tricks on how to avoid errors and develop the strongest ROI calculation possible. Our whitepaper “Building the business case for WMS: Establishing credible ROI calculations and estimates” provides a closer look. As more reliance is placed on data to better manage the warehouse, safeguarding that data is beginning to become a top priority for retailers. Regardless of size, a modern warehouse needs to protect both the systems that increasingly drive operations and the data contained within these systems. Our team outlined eight questions when evaluating the cyber security of your warehouse to help you. What do you think? How have you planned to address these changes in the year ahead? What challenges and opportunities will your warehouse face in 2018? Synergy Ltd © 2019. All rights reserved.